The Newcastle street circuit proved popular among local competitors who sampled it at racing speed for the first time yesterday at the Coates Hire Newcastle 500. While the Virgin Australia Supercars Championship had two 40-minute practice sessions on Friday, and a raft of support categories also had their opportunity to take in the 2.65km layout. “I was full of emotion on that first lap,” admitted Aaren Russell. “You’d like it’s Saturday, and we’re here Friday,” he added of the crowd. The first car on track was Aussie Racing Cars competitor Charlotte Poynting, who won a fan vote to lead out the opening session onto the Newcastle streets. “I’m very excited. It’s a bit nerve-wracking in front of my hometown with everyone watching, and having my friends and family here,” Poynting told Speedcafe.com. Including Poynting and Supercars driver Aaren Russell, six drivers will this weekend have the opportunity to compete in their first ‘home’ race. Fellow Aussie Racing Cars driver Reece Chapman is also relishing the opportunity to compete around the streets of his hometown. “I’m really pumped to be here. “The atmosphere is amazing, there’s a lot of people around,” he said. Toyota 86 driver Will Cauchi also lapped up his home event. “It’s unreal, first practice session I took it quite easy obviously with the new track and I’ve never done a street circuit, but it’s really, really exciting,” said Cauchi. Support from the locals was a common theme from all Novocastrian competitors, with Touring Car Masters’ Cameron Mason also singing the praises of his time town fans. “It’s awesome, a lot of good support, local companies and just the public in general always helps and makes it more fun – and the fact you can stay in your own bed is good too,” said Mason. V8 Utes racer Jeremy Gray was also impressed by the crowds that rolled into the venue across the opening day. “It’s good to see a lot of familiar faces and just after the practice session, on the track it was fantastic, I really, really enjoyed it,” said Gray. “[My favourite part is] heading up the hill to Turn 2, then coming down the beach section is pretty special. 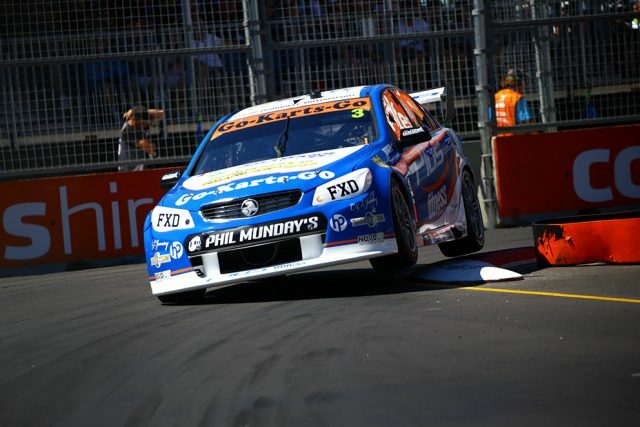 This year’s Coates Hire Newcastle 500 is the first of a five-year contract for the event, with the Virgin Australia Supercars set to remain at the venue until 2021.